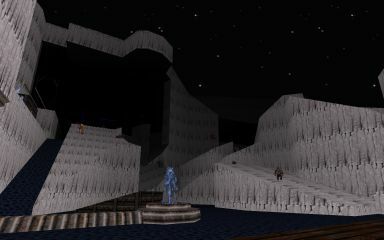 Continuing on from where WGSpace 2 left off, this third level in the series takes place on an icy moon overrun by alien invaders. Very original level design with great attention detail add to the atmosphere, as do the custom .voc files so kindly provided. Again, creative architecture and enemy placements contribute to making this a very fun map! 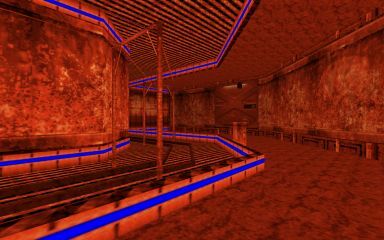 Title                 : wgspace3.map / Ice Moon. 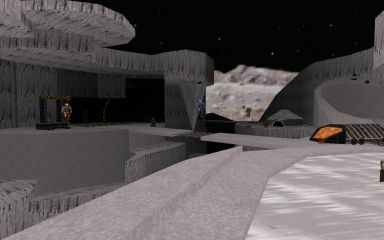 Description           : (SP Space Level) Ice moon. what does this map give me? This is "NOT"  our Moon!! since then the Alien scum have replaced the humans and have overpopulated the moon. remember this is all in the future ;) when we can space travel!!!! Additional Credits to : Bob For his clear water effect. Every mapper in exsistance. commuinity. Mikko for betta testing. aslo find many other maps by me. Page generated in 0.7166 seconds.